Let me just let the cat out of this bag right up front and say: I WAS WRONG to call this a downhill race. Which is all well and good, until you factor in the fact that on Sunday I had to get up and run 13 miles. The run started at 7am so I planned to wake at 5 and leave at 6 for the start line. So, of course, I woke up at 3am with a BG of 68… had juice, set a temp basal even lower, and went back to sleep for an hour. Woke at 4am. A.w.a.k.e. So, I lay there and tried to snooze until the alarm went off. 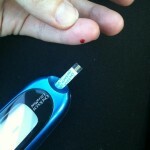 Ate a banana, no insulin. That right there should tell you how weird this entire weekend was! As we left for the start line, I lowered my basal again, trying to get above 140 to start the run. Yes, this was a rolling hill race… which is to say, NOT FLAT and NOT DOWNHILL. Sure, overall, we lost about 200 feet over the 13 miles (which was not 13.1 miles at all, but 13.28 miles, about which I plan to pout the rest of the week), but it just wasn’t a simple down… it was many many little ups and little downs. Sigh. I should have known it wasn’t going to be easy. Anyway, we’re at the start line and my BG was 154 about a half hour before the start. Yay; right where I wanted it. Of course, my sensor was freaking out and telling me alert alert alert you’re 239 double up… so I recalibrated, and said calm down (and shut up because you shouldn’t be able to yell and scream if you’re that wrong). Finally, we’re in the countdown to the Official Start. I look down, and my sensor says, of course, Calibration Error. Duh. So with ten seconds to start, I challenge myself to check my BG as we all count down. I almost made it, too! I calibrated as I crossed the start: 208. Fine. I’m running, it’ll work out. I start running with my friend, which I had promised myself I wouldn’t do because she runs much faster than I run and starting fast is just not a good way to go for an endurance event like this. Caught myself running a 7:39 mile in there at the start; not great. It was fun to run with my friend anyway, which I did for the first three miles, and hear her again saying “uphill” and “downhill” each time we encountered another one (which was about every 60 yards). It was just so funny; I’m not sure if she knew she was doing it. We saw my husband waiting at our first turn at mile 3. Always fun to see him out there, supporting us. Always. He snapped a few photos and I ate a gu as I climbed… oh, yes…another hill. Halfway through the run, I checked my BG and was 228. This is not at all surprising, as I had been on a 50% basal for most of the morning, eaten a banana (30 grams) and had a gu (26 grams) 30 minutes before I checked, and was running relatively downhill (running down will not affect my BG like running up). Checked again for some reason every 15 minutes for the second hour of the run. 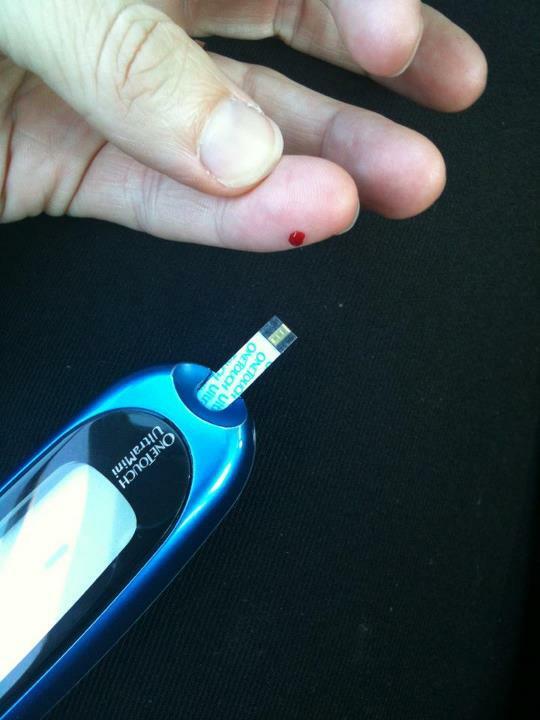 I think I was trying to get back in range and afraid I’d overdone it or something with a bolus. I don’t know; I was also trying to run fast and not get irritated by all the ups and downs (and did I mention up again). So, at 8:15 I was 230, 8:30 I was 171 and 8:45 I was 150. I finished at 9:03 or something (a 2:03 something half isn’t what I was going for, but then again, did I mention the up hills) and checked after I was out of the chutes. Finishing at 140 was good; checked again maybe 20-30 minutes later and was back up at 186before I went back down shortly after that. Hey, my BGs were sort of like the course elevation! FOR MY CANADIAN FRIENDS: these numbers are 4.0, 9.1, 12.2, 13.4, 13.5, 10.1, 8.8, 8.2 I think. I divided all of the ones up there by 17. 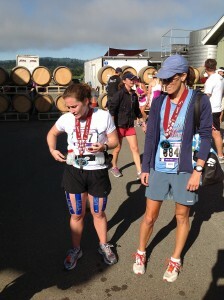 I’m running the Water to Wine Half Marathon on Sunday. I’m looking forward to it!! 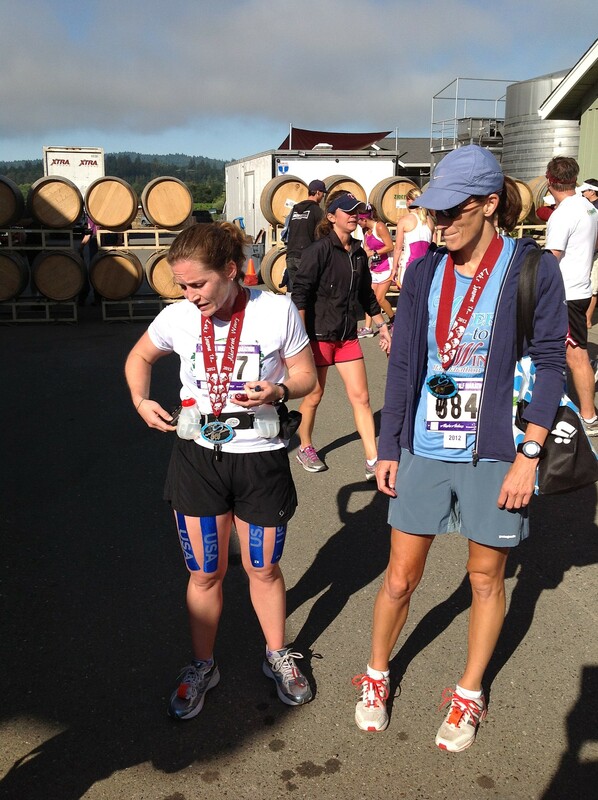 I will travel to beautiful and crazy hot wine country and start at a lake and then end at a winery… 13.1 miles away. Sounds like fun, doesn’t it? Free wine glass (not free glass of wine, just the empty glass) and shirt for all participants. I drove portions of the course a few months ago; I’m curious what it will look like on Sunday! Temperatures are expected to be in the high 90s all weekend. I’m glad it starts at 7am. 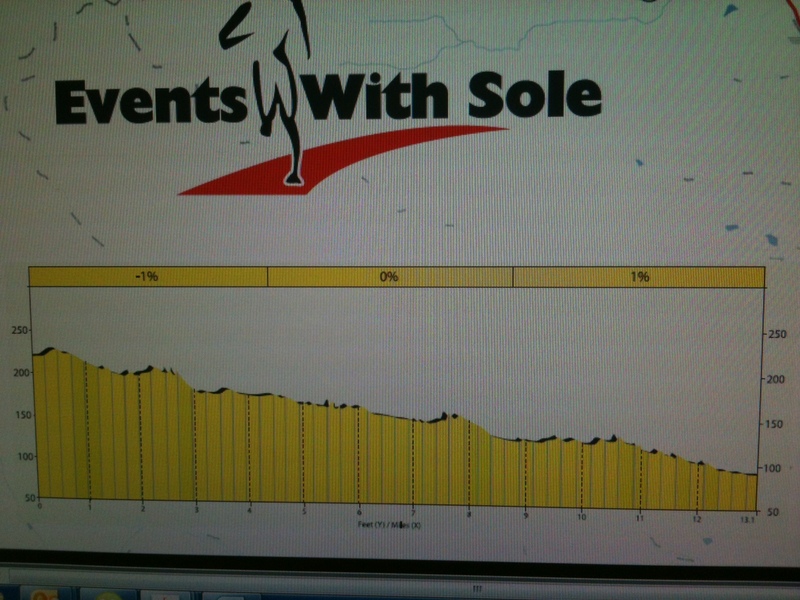 Here’s the reason I wanted to run this one, aside from the fact I like the area and it will be a pretty course. The real reason I’m looking forward to it? 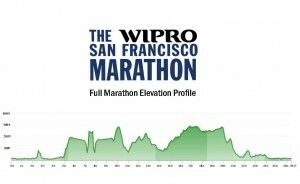 Check out the elevation map. I think after that one little thing around mile seven, I’ll be happy… don’t you? Oh, yeah… that sucker looks ALL DOWNHILL. 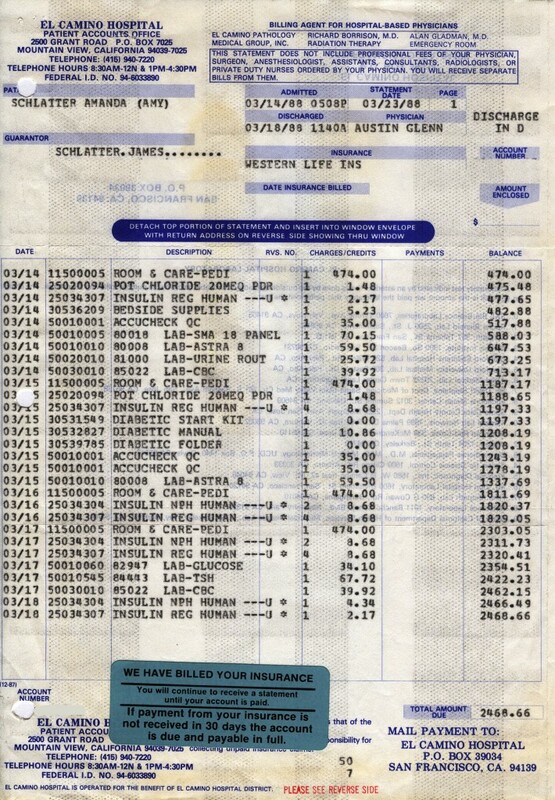 Alright: full disclosure. I have a long history of convincing myself, based on elevation maps of courses of events I haven’t actually done, that a course is going to be flat, or downhill. So, I’m just not entirely sure how this one will FEEL while I’m out there. 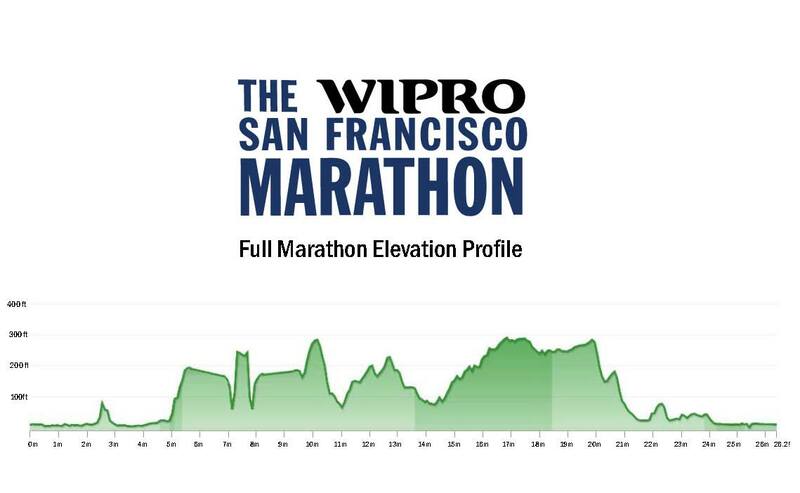 and the San Francisco Marathon (seriously; what made me think that San Francisco would give me downhills without the corresponding uphills?! )—the second half of that SF one was supposed to be a “net downhill” which is a phrase I learned to hate over a few hours last July. In any case, despite the fear I will repeat this “convince myself it’ll feel easy” thing I seem to do, I’m excited.